Hope Warehouse is open!!! 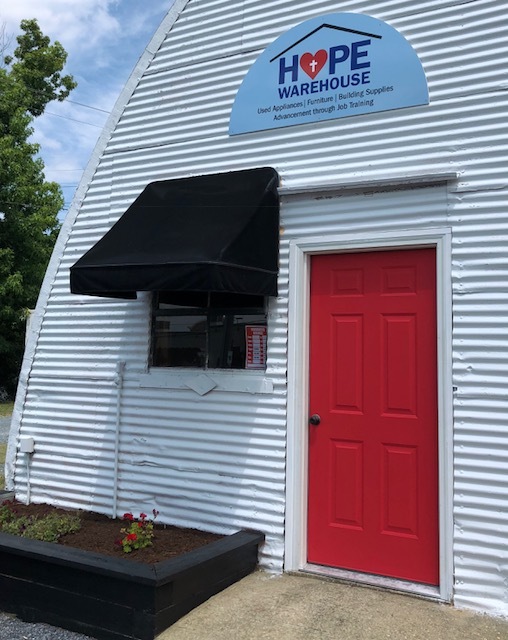 The Hope Warehouse provides deeply discounted prices on donated furniture, appliances, and construction items (please see list below of acceptable donations). This revenue is a source for Haven Ministries’ efforts to provide HOPE and AWARENESS in Queen Anne’s County, Maryland. In addition the Hope Warehouse assists neighbors in need with furniture and appliances. Referrals for these donations often come from county and state programs as well as churches and other nonprofit organizations. A Customer Service Job Training Program will be implemented at the Hope Warehouse. The program is expected to start Fall 2018. Trainees will go through a curriculum focused on soft skills training, retail store knowledge, and personal development. With the completion of the program, trainees will receive a Haven Ministries Customer Service Certificate which will help them secure better jobs in the future. Donations are welcomed and accepted during store hours only. All items must be clean with limited wear and tear, in perfect working condition, and include all parts. WE DO NOT ACCEPT – Upholstered furniture unless it is from a smoke free, pet free home, gas appliances, mattresses, particle board furniture, anything with rips or stains, baby items and electronics. For more information please contact Manager, Susan Phillips at 410-490-8498 or by email, hopewarehouse@haven-ministries.com. Thank you.